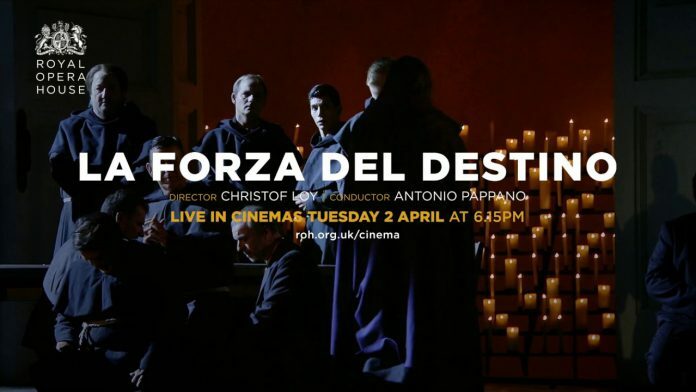 Streaming live from the Royal Opera House, this event combines a special screening of the film followed by a live-streamed Q&A with director Iciar Bollain, writer Paul Laverty (I, Daniel Blake), producer Andrea Calderwood (Last King of Scotland) and dancer/choreographer/actor Carlos Acosta. Based on Carlos Acosta’s autobiography No Way Home: a Cuban Dancer’s Story, the film follows Acosta’s relationship with his father, who encouraged him to leave Cuba and forge a career on the international stage. Acosta went on to become a legend in the dance world including lead ballet dancer at the English National Ballet and the first black dancer to perform some of the most famous ballet roles of all time. Gillian Anderson and Lily James lead in the story of Margo Channing. Legend. True star of the theatre. The spotlight is hers, always has been. But now there’s Eve. Her biggest fan. Young, beautiful Eve. The golden girl, the girl next door. But you know all about Eve, don’t you? Lifting the curtain on a world of jealousy and ambition, this new production, from one of the world’s most innovative theatre directors, Ivo van Hove, asks why our fascination with celebrity, youth and identity never seems to get old. There are many versions of the story of Faust, who trades his soul with the devil for youth and power, but Gounod’s opera remains one of the most constantly enthralling. Virtuoso leading roles, a large chorus, sensational sets, ballet and an ecstatic finale make this the epitome of theatrical spectacle. Starring Michael Fabiano, Diana Damrau and Erwin Schrott. Broadcast live from The Old Vic in London, Academy Award-winner Sally Field (Steel Magnolias, Brothers & Sisters) and Bill Pullman (The Sinner, Independence Day) star in Arthur Miller’s blistering drama. America, 1947. Despite hard choices and even harder knocks, Joe and Kate Keller are a success story. They have built a home, raised two sons and established a thriving business. But nothing lasts forever and their contented lives are about to shatter. The contemporary face of The Royal Ballet is shown in works from three of today’s leading choreographers. Christopher Wheeldon’s Within the Golden Hour is based around seven couples separating and intermingling, to music by Vivaldi and Bosso and lit with rich colours suggested by sunset. Crystal Pite’s Flight Pattern, revived for the first time, uses a large dance ensemble and Górecki’s familiar music from his Symphony of Sorrowful Songs for a poignant and passionate reflection on migration. Between them, a new work by Sidi Larbi Cherkaoui, created on The Royal Ballet has its premiere to bring the contemporary truly up-to-date. The cast includes Beatriz Stix-Brunell, Lauren Cuthbertson, Sarah Lamb, Vadim Muntagirov, Ryoichi Hirano and Steven McRae. This thrilling, audacious and witty production is perhaps still best known for replacing the female corps-de-ballet with a menacing male ensemble, which shattered convention, turned tradition upside down and took the dance world by storm. Retaining the iconic elements of the original staging loved by millions around the world, filmed live at Sadler’s Wells Theatre and starring Will Bozier, Liam Mower and Nicole Kabera. Wednesday June 5. Details to be advised. Celebrating 30 incredible years, Take That are bringing their spectacular 2019 Greatest Hits tour to cinemas for one night only. Broadcast live on Saturday June 8 from their last UK concert of the tour, this highly anticipated anniversary show promises to be their best yet. With front-row seats, you’ll be a part of the action as Gary, Mark and Howard journey through Take That’s incredible music history. Performing their biggest hits from the past three decades, and new tracks from their latest album Odyssey, fans will love this ultimate big-screen sing along. So, get ready to throw your hands in the air – it’s a party you’ll never forget! Shakespeare’s enduring love story is known the world over. Since its 1965 premiere with The Royal Ballet, Kenneth MacMillan’s Romeo and Juliet has become a modern ballet classic. The choreography captures the emotions of the young couple as they fall in love, despite the barriers that finally bring about the story’s tragic end. Each revival gives opportunities for new dancers to interpret the doomed lovers. The whole company brings the colour and action of Renaissance Verona, where a busy market all too quickly bursts into sword fighting, and a family feud leads to tragedy for both the Montagues and Capulets. Starring Yasmine Naghdi as Juliet and Matthew Bourne as Romeo.